Ford cars have always aimed at delivering high end cars falling under major three segments. Indian automobile market have always appreciated these particular car brand for its superb technology. The much talked about SUV of Ford will be launching by mid June for Indian onlookers. The curiosity cloud created and all sorts of rumors gathered before the launch month got finalized, everything gets a full stop. 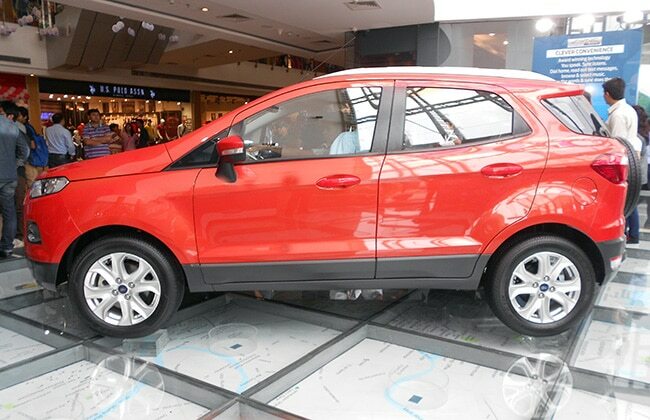 The compact Ford EcoSport under the category of SUV cars will shine the Indian auto market in the near future. CarTrade people say that this launch is decided keeping in mind the completion of Ford India s Urban Discoveries campaign. More detailed report by CarTrade says that Ford will be launching its compact SUV in the mid of June 2013, thereby making the Indians experience high class American automobile engineering. Company had planned a very innovative marketing campaign to bring across its SUV to the whole country. This plan comprises of road show being held in 12 major cities, amongst these Mumbai, Banglore, Kochi, Chandigarh and Delhi have already been the eye witness of this vehicle running on Indian roads. This particular marketing campaign would be ending by the end of May. 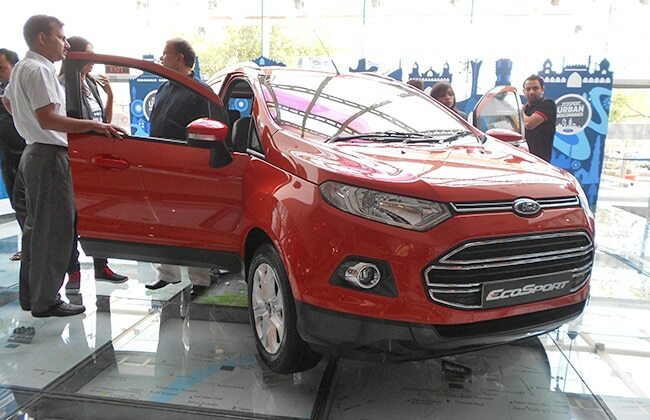 Ford EcoSport Features some of those specifications which would add to the compact structure of the vehicle. There are speculations that this compact SUV will come with 1 liter EcoBoost petrol mill, capable of churning 120bhp of power. The diesel variant of the same car will come with 1.5 liter diesel engine, offering 90bhp of power.Ford EcoSport Price depicted out of some official reports says that the lower variant of Ecosport will be tagged with price somewhere in between Rs.5.9- Rs.6lakh, and the higher variant will fall in the price bracket of Rs.9lakh. Moving to the mileage of this vehicle, this compact SUV seem very economical as it is surmised that Ecosport will deliver 17kmpl of mileage. Ford EcoSport Pictures a very compact and comfortable structured vehicle. The length of the vehicle with 4 metre will making suitable for the Indian roads. Company has smartly worked upon the dimensions of the vehicle so a to make it exempted from excise duty part. The pricing seem very strategical in nature as well as very competitive. 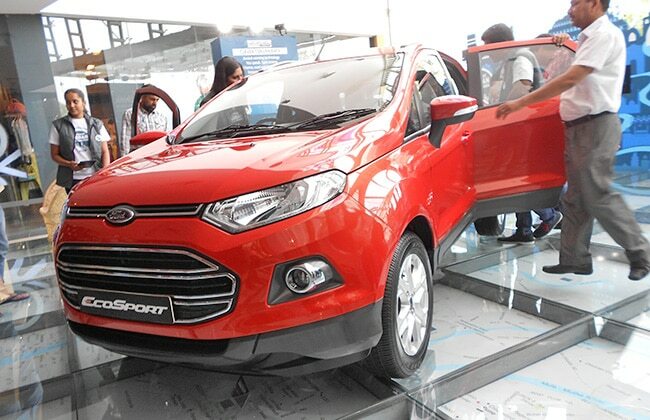 This cutting edge price tag of Ecosport will allow the company to gain good hold of premium hatchback car market in India. As of the fact, Indian buyers are giving a very good response towards the compact SUV or premium hatchback market. The basic element in these cars is that the ride becomes easy in heavy traffic woos.